Short on time? Let graphite sellers contact you. EDS Express Direct Sourcing Co., Ltd.
Wealson offers carbon and graphite felts in a variety of widths and thicknesses to meet a wide range of applications. These products are easy to cut and install. The felts can be sewn in place using carbon cordage. Felt material is generally used as thermal insulation in inert and vacuum furnaces. 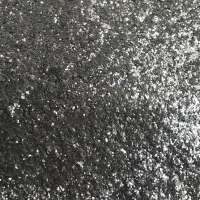 For special applications, this felt is available with graphite coatings which will reduce the permeability of the felt and improve its resistance to erosion. Wealson's felt can be surface coated with graphite foil bonded or combined with carbon/carbon face plates to provide an insulation system that is utilized with operations such as rapid gas quenching, resulting in longer useful life of the insulation system. Additionally, Wealson's carbon and graphite felt is available in a rigid form that can be manufactured into various shapes, including: Baffle, Cylinder, Ring and Board. 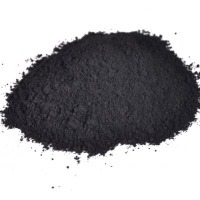 I have a millions of tons Raw Graphite carbon from my own minings looking for serious buyers and also looking for investors. I am living in tribal area mohmand agency and wellcome any buyers or investors to visit my graphite minings. raw graphite is already tested by mineral lab from peshawar (hayat abad mineral tested lab). for more details contact by email or cell no. 1.Density:1.65g/cm3 2.Particle size:1mm, 2mm 3.Resistivity: 9ohm 4.Ash content: 0.3% 5.Compressive strength: 28mpa Wooden case or as your requirements.